There are more interesting and unusual projects joining p2pb2b platform. This time a cryptocurrency for legal cannabis and the tobacco industry has been introduced to our traders. 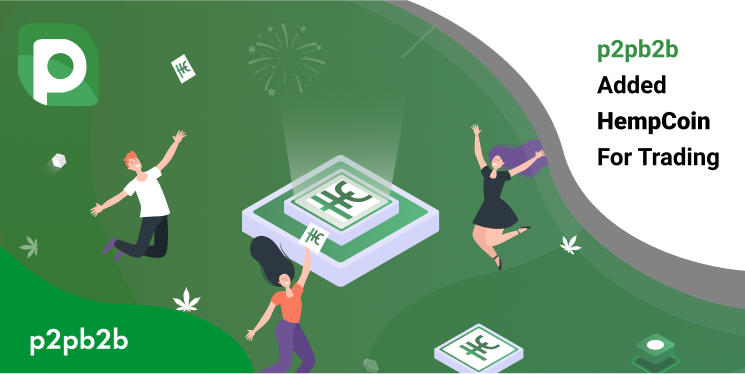 HempCoin is a digital currency that tends to be used as a means of payment in the industry of agriculture. The coin as launched back in 2014 and has already reached the market capitalization of $2,6 million. The main goal of the team is to provide an alternative and easy-to-use payment method to the retailers, producers, and buyers. HempCoin is planning to provide users with main 3 payment options: mobile, card, and online. Don’t miss out new coins listed on p2pb2b. Subscribe to our social networks and stay tuned! Next Post Attention All p2pb2b Users!